Personalized gifts are some of my favorite to give and receive. 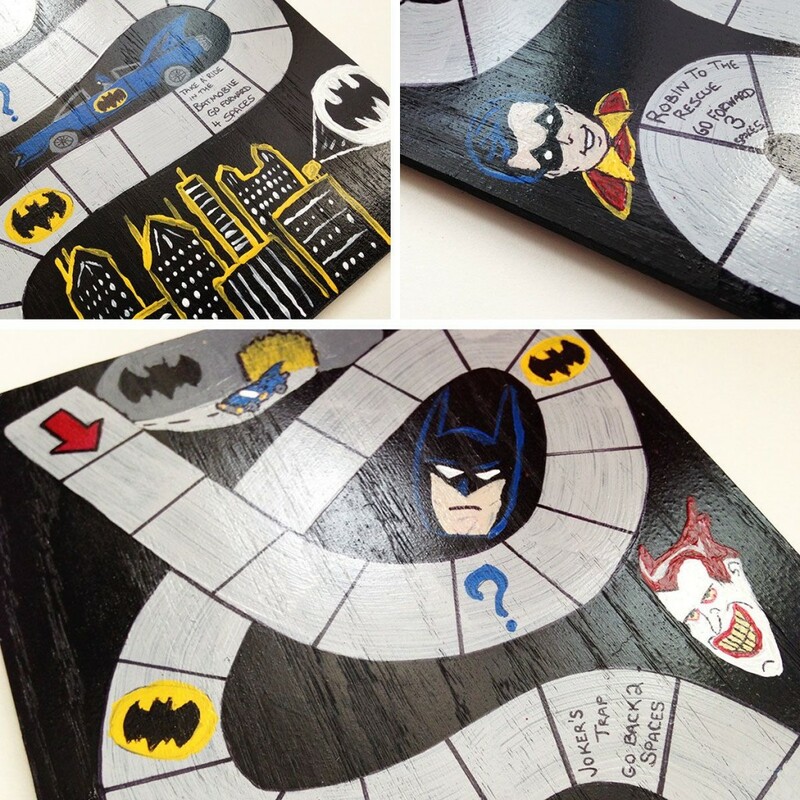 For weeks I have been wanting to show you this Batman game that Matt and I made for our Jeremiah’s birthday. It was a team effort, and our J loved it! 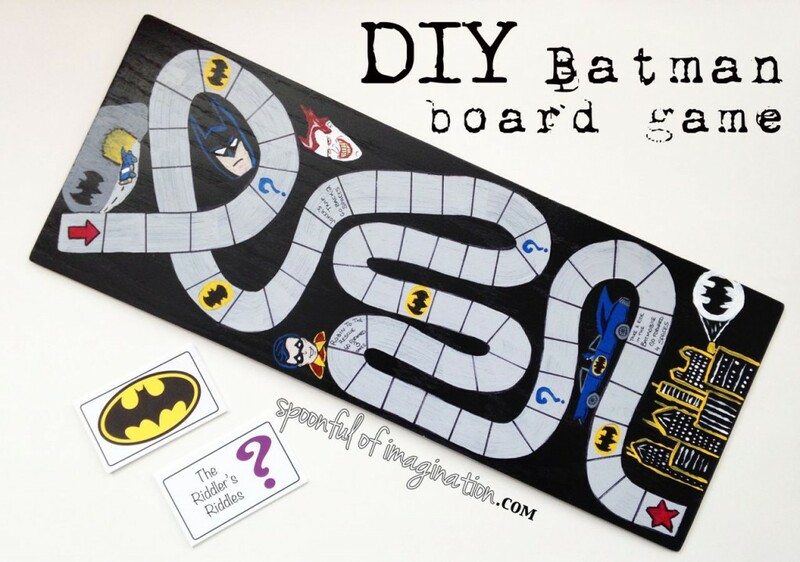 We got pretty into the detail of our board game, but you can take the idea and make a board that fits to you and your time frame. We started with a simple piece of Purebond scrap wood that we had left over from our planked wall. 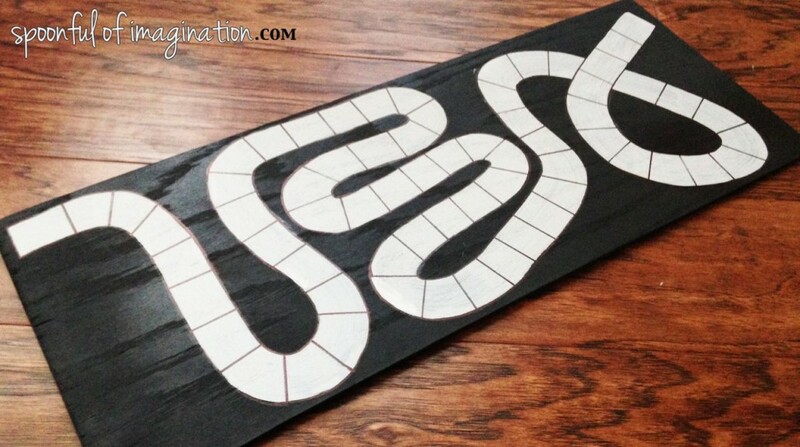 I spray painted the board black with a little Rustoleum spray paint and painted a gray curvy path with simple acrylic paint and a paintbrush. I then came back and used a sharpie and a ruler to outline my path and to mark it off into boxes. At this point I jokingly asked Matt if he would like to paint Gotham City for me as I had a birthday to do list a mile long that I still needed to do. To my delight he said YES! He far surpassed my idea. 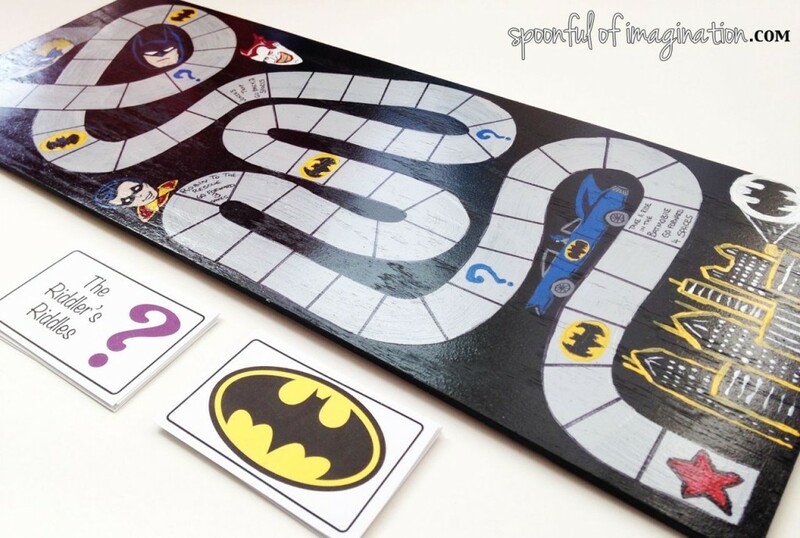 He not only painted Gotham City, he painted fun elements along the board and gave a “purpose” to the game in getting Batman from his Batcave to Gotham City. The game has a Candy Land feel. J loves Candy Land. 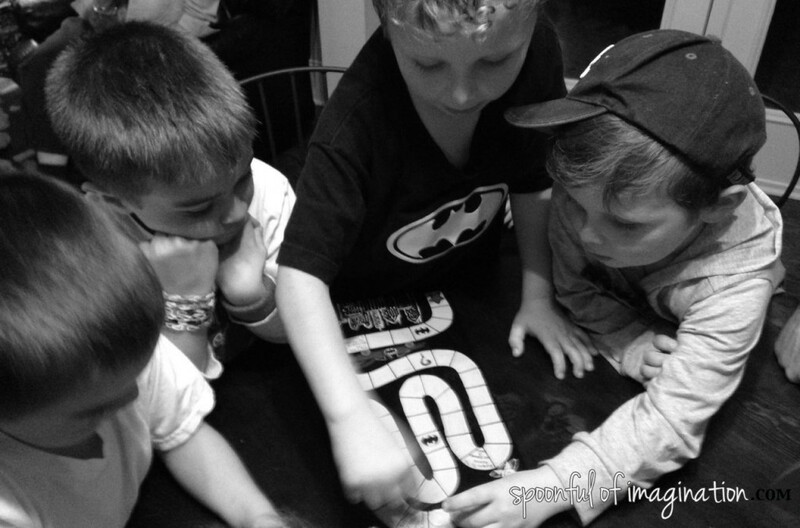 He will play a dozen times in a row, so we were wanting to give that type of game to him with his absolute favorite guy, Batman. I think Matt nailed it. 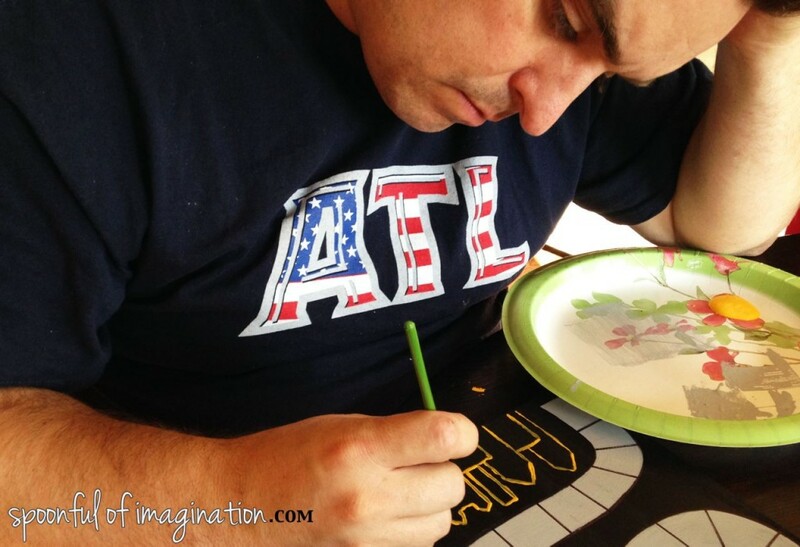 He penciled the designs and then painted them in. He would Googled pictures on his phone as he replicated his own. 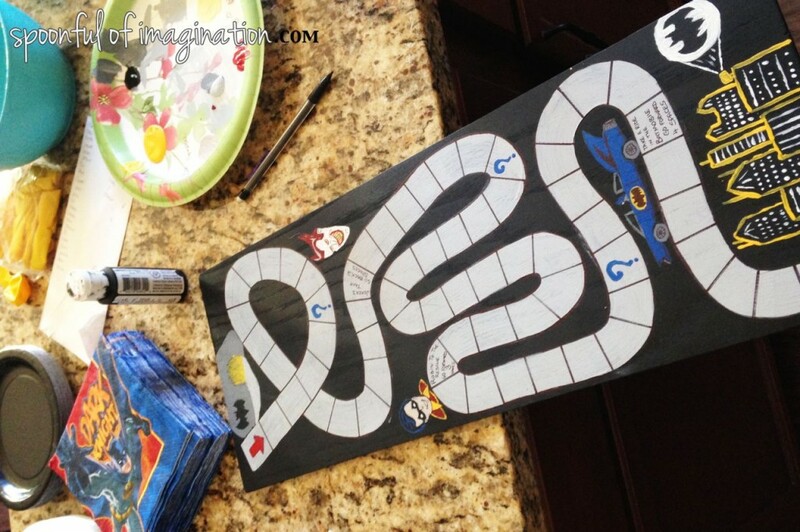 He did a great job painting the elements, but you could also print them out and use glue and mod podge to attach them to your game board. Once he was done painting the game board, I used my Rustoleum clear shiny spray on the entire board to act as a protectant. Matt came up with the cards on his own. They are fun and funny. I love to play this game! J had a wonderful birthday. I think this game (and playing it back to back to back) with him made him feel loved and put a huge smile on his face! He still enjoys playing it all these weeks later! 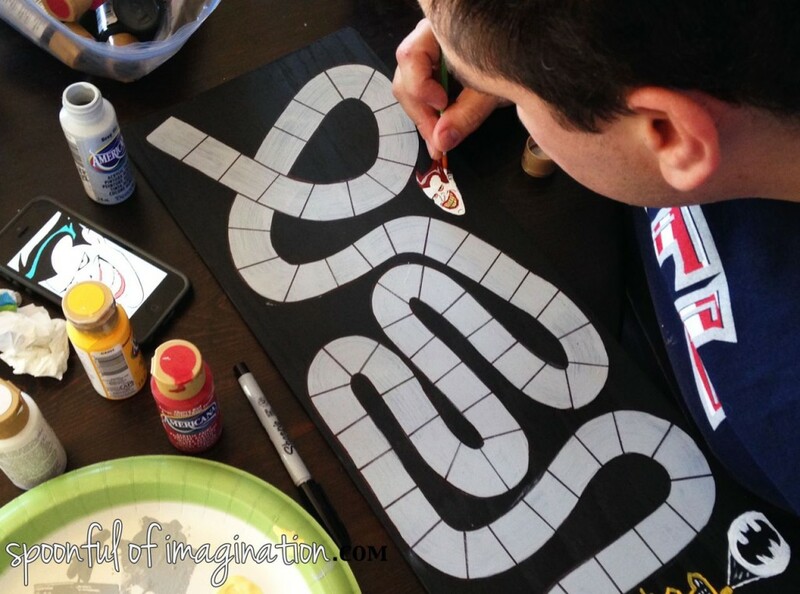 Have you ever made a game board before? I actually hung a little hook on the back of this game board and keep meaning to find a place to hang it up as “art” when it’s not in use. 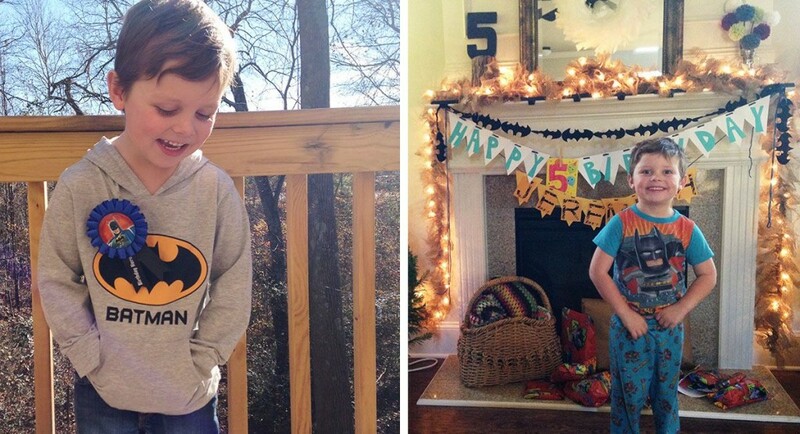 For more Batman party inspiration, you can see the invites and Batman garland I made here. Thank you so much for stopping in! I hope you all had a great weekend! 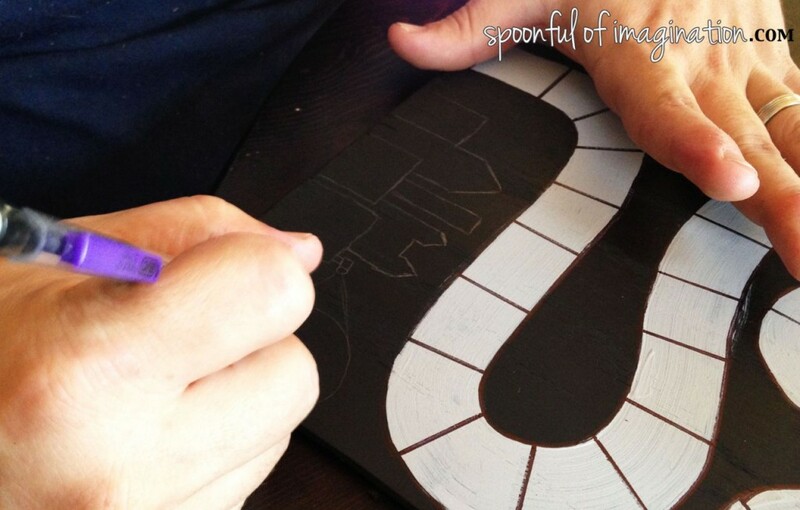 Please come back tomorrow to check out my new Spoonful Tribe craft kit! I am beyond excited to share these crafts with you! There are some beautiful elements that work for Valentine’s Day or really any time of the year, and just like this month I will ship the kits out to you so you have every supply (including my tutorial videos) to create them as well! What kinds of things did you write on the cards? That’s clever! I didn’t even think to put riddles lol obvious now that you said it though! are there riddles on the batman cards as well? What kind of questions were on the batman cards? i am trying to do this but for pre-school age and a kid who is color blind so I am limited on my options. Thanks for the help and great idea he will love it!